It is time. The best holiday of the year is just around the corner. I am going through the menu, making oven time schedules, finalizing the dessert, and I just realized something. My family has never been one to have bread at the Thanksgiving table. We don’t usually do biscuits, never rolls, sometimes cornbread, but not often, and we don’t even really do stuffing. I have no idea where we get our bready carbs from on Thanksgiving Day! And I don’t even think that these rolls rose like they were supposed to. (Yes, I’m complaining about yeast again. Go with it.) In fact, I’m pretty confident that they didn’t. And they’re still the best rolls I have ever had. Doesn’t that make you want to run into the kitchen to make some?! Carb-heavy Thanksgivings begin now! Stay tuned this week for this year’s Thanksgiving Roundup! Look back for ideas from past years! Stir together warm water, 1 tablespoons sugar and yeast in a small bowl until yeast in dissolved. Let stand until foamy, about five minutes. Melt 3/4 stick (6 tablespoons) butter in a small pot. Add the milk and heat until lukewarm – about 3 minutes. Pour into a large bowl and add yeast mixture, remaining 2 tablespoons of sugar, bread flour, and salt. Stir with a wooden spoon until just combined. Stir in 3/4 cup all-purpose flour, dump out onto a clean work surface, sprinkled with flour, and begin to bring the dough together into a ball. If your dough is too sticky to handle, add up to an additional 3/4 cup of all-purpose flour a tablespoon at a time until the dough is just slightly sticky. It will be soft, but will no longer stick to the surface (but may still stick to your hands while kneading). Knead dough until a smooth and elastic dough begins to form, adding more all-purpose flour as needed. The dough will be smooth, satiny and just slightly sticky after 10 minutes. Go sit. You will be tired. My triceps still hurt. 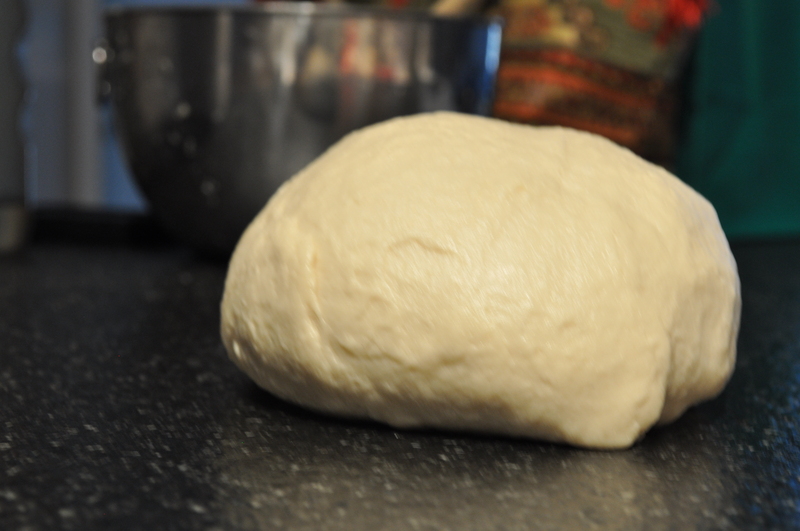 Form dough into a ball and place in a large, buttered bowl, turning the dough so that the entire ball is covered. Cover with plastic wrap and a towel and let rest n a warm, draft free place until doubled in size, about 1 hour. Butter a 9×13-inch baking pan. Divide dough into 20 equal pieces. 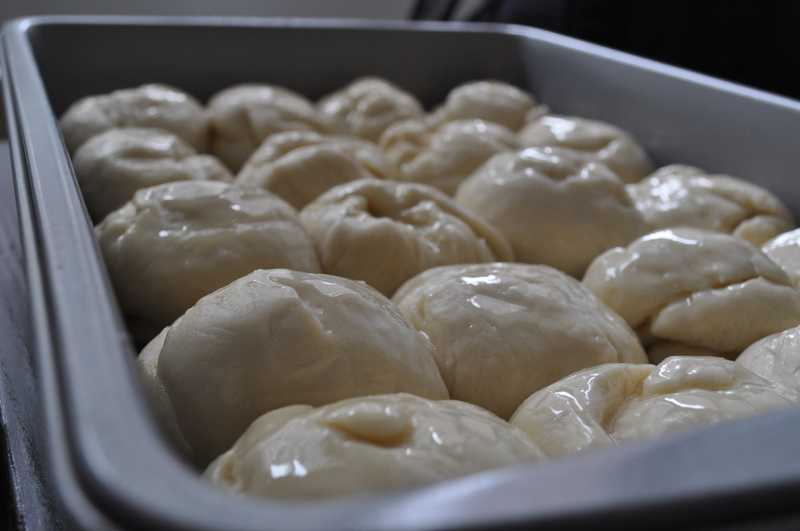 Roll each one into a ball and arrange evenly in 4 rows of 5 in a baking pan. Cover loosely with plastic wrap and let rise in a warm, draft free place until almost doubled in size, about 45 minutes. 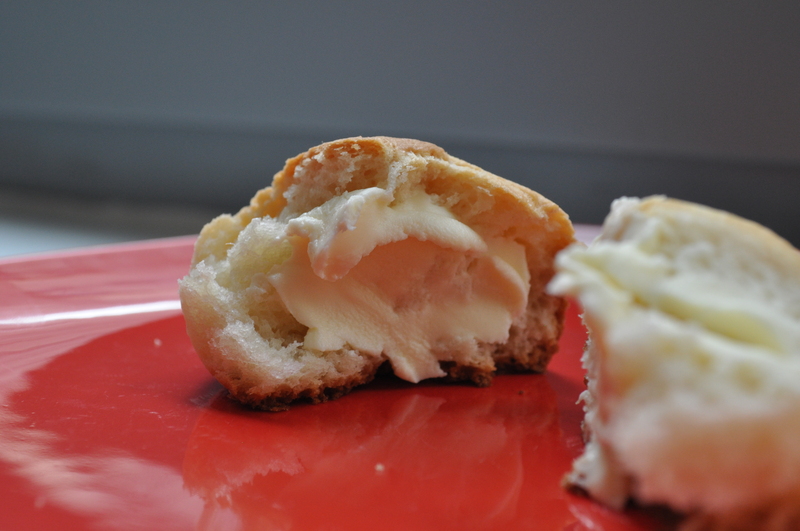 Melt the remaining 2 tablespoons of butter and cool slightly. Brush the tops of the rolls with butter. 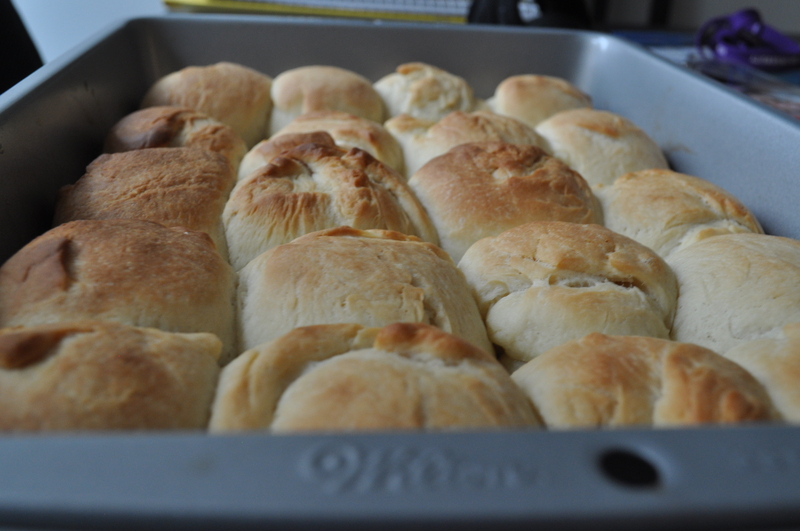 Let rolls rise, loosely covered for 15 minutes. Place in the oven for 20-25 minutes, until golden brown. Cool rolls in the pan for 5 minutes then remove and serve warm. Reheat rolls wrapped in foil in a 375 degree oven if you’d like to eat them the next day. This entry was posted on	November 24, 2013 at 9:41 am	and is filed under Uncategorized.